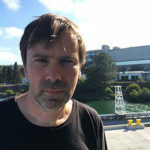 Bishop is a faculty senior scientist at Berkeley Lab’s Earth and Environmental Sciences Area and a professor of marine science at UC Berkeley’s Department of Earth and Planetary Science. Bishop invented the Carbon Flux Explorer robots used to study the transport of carbon and other elements by ocean biology. Before this trip, Bishop has logged about 1.9 years at sea from 44 oceanographic expeditions. Wood is a senior scientific engineer at Berkeley Lab’s Earth and Environmental Sciences Area. 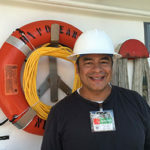 Todd has been a key member of the Bishop group at LBNL since 2000 and has extensive seagoing experience. He developed hardware, electronics, firmware, and software for the Carbon Flux Explorer (CFE) and leads CFE operations at sea. 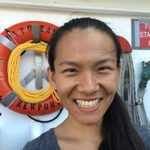 Lam is an assistant professor in the Ocean Sciences Department at UC Santa Cruz. She studies the role marine particles play in the biogeochemical cycling of major and minor elements in the ocean. During this trip, she and her UCSC researchers will use submersible pumps to collect and filter suspended particles of different sizes. 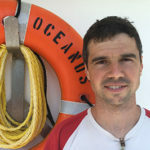 Stukel is an assistant professor in the Earth, Ocean, and Atmospheric Science Department at Florida State University. 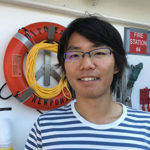 He studies the role of microscopic marine organisms (plankton) in the global carbon cycle. During this trip, he will deploy nets to catch zooplankton and sediment traps to collect the sinking particles created by plankton. In addition to the people who went out to sea, there were shore-based team members who played critical roles in getting the Carbon Flux Explorers ready for deployment. The following people lost weeks of sleep building and assembling parts for the robotic floats: Brian Bentley, Randy Da Roza, Rene Delano, Steven Ferreira, Rick Kraft, Tim Loew, Marty Martinez, Jeff Olson, Dennis Paiva, Manny Pereira, Tom Perry, Chris Redding, Brian Reynolds, Joe Wallig, and Tim Williams from Berkeley Lab’s Engineering Division; and Lee-Huang Chen, a UC Berkeley graduate student in mechanical engineering. Michael McClune, a development engineer, and Chris Berg, a technician, at the Scripps Institution of Oceanography at UC San Diego adapted Argo floats for use on the Carbon Flux Explorers. Michelle Robertson, program manager at Berkeley Lab’s Earth and Environmental Sciences Area, also provided key support for the trip. Work was also conducted at the Jacobs Institute for Design Innovation and the CITRIS Invention Lab at UC Berkeley.